Ivy Knitalong: I've completed the back! Here it is drying on my blocking board. 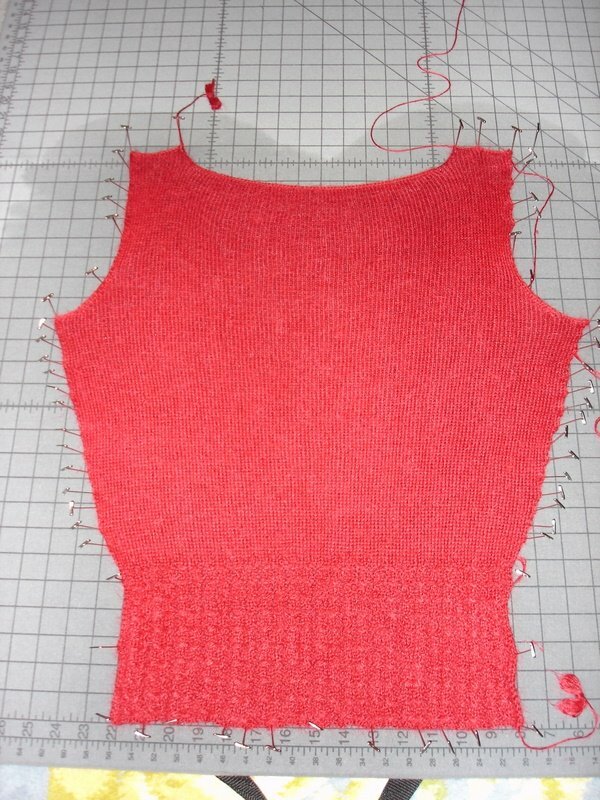 I'm knitting it in Quechua in a vibrant red. 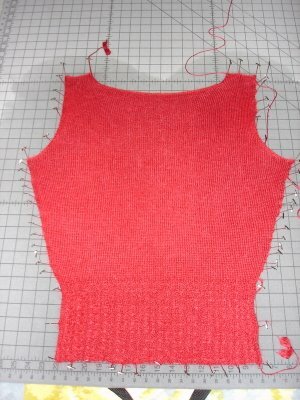 When I started the back, I found the yarn a little hard to work with, but now my hands are tolerating it better. On to the next piece! You can find my knitting adventures here. That is a fantastic color!